Punjab is one of the least-explored states in India. Whenever we hear of Punjab, the first and foremost thing which comes to our mind is its world famous Golden Temple, which is the holiest shire for the Sikhs. Apart from this beautiful temple, Punjab is also famous for its warm hospitality and local food. Inhabited mainly by Punjabis and Punjabi Sikhs, this beautiful state of India definitely deserves to be explored. Ever wondered about the historical places in Punjab? If not, then here is your chance to know about the historical places to visit in Punjab. From ancient temples to places related to the Partition of India and ancient palaces to museum, there are numerous places in Punjab which will certainly surprise you with their beauty and significance. Also known as the Golden Temple, Sri Harmandir Sahib is one of the most sacred places in India and the holiest place for Sikhs. It is also one of the most visited places in India and witnesses tourists in millions of numbers every year. Surrounded by a beautiful lake, the Golden Temple was built in the 16th century; in 1604, the holy texts of Sikhism were introduced in the temple. The upper floors of this magnificent temple were originally built out of pure gold. How about getting yourself amid the devotional atmosphere and relaxing environment of the temple and soothing your mind, body and soul? Also known as Bhatinda Fort, Qila Mubarak is a historical monument in the wonderful city of Bhatinda in Punjab. With its history dating back to the 11th century, Qila Mubarak is a must-visit destination if you are looking to explore the history of the city. It is also said that Razia Sultan, the first woman ruler of India, was defeated within the boundaries of this fort and was dethroned from the Delhi seat. It has been a gateway to Delhi for certain rulers from outside India, such as Babur and Mohammed Ghori. It has also been under the rule of numerous India rulers, such as Prithviraj Chauhan. Today, it is under the care of Archaeological Survey of India and has become a significant fort, attracting thousands of visitors every month. Who can forget the despairing incident which happened at Jallianwala Bagh when general Dyer ordered his army to open fire on hundreds of innocent people talking about the freedom of the country? One of the cruellest acts witnessed during the struggle for independence is certainly the one which happened at this garden in 1919. 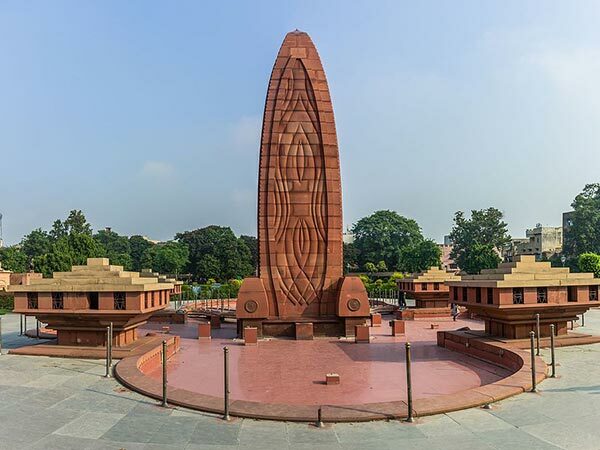 Located in the vicinity of the Golden Temple, Jallianwala Bagh houses a memorial to honour the innocent people who died during the open fire by a British official. Today, it is one of the most visited places in Amritsar. Inaugurated on August 17, 2017, Partition Museum is one of its kind in the world and houses certain materials and documents related to the Partition of India in 1947. Partition Museum is located in Amritsar and has been a major tourist spot since its formation. How about walking through the aisles of this wonderful museum and learning about the evolution of current India? You can also find certain photos and paintings hanging on the walls of this museum and narrating the mournful stories of the partition. Another magnificent building in the city of Patiala in Punjab is Moti Bagh Palace, which was built during the 1840s by the maharaja of Patiala. Today, it is converted into a museum and art gallery which preserves the old painting and artefacts of ancient India. Moti Bagh Palace is also a North Zone Cultural Centre, which is a regional centre to protect and preserve the cultural heritage of Punjab. Devi Talab Mandir is 200-year-old temple which is located at Jalandhar in Punjab. Dedicated to Goddess Durga, this wonderfully built temple witnesses thousands of Hindu devotees and tourists every year. The major spots in the temple which attract tourists include its 200-year old pond, a replica of Amarnath Cave and Vaishno Devi Cave. Located in the heart of the city, Devi Talab Temple is one of the most visited religious places in the state of Punjab.